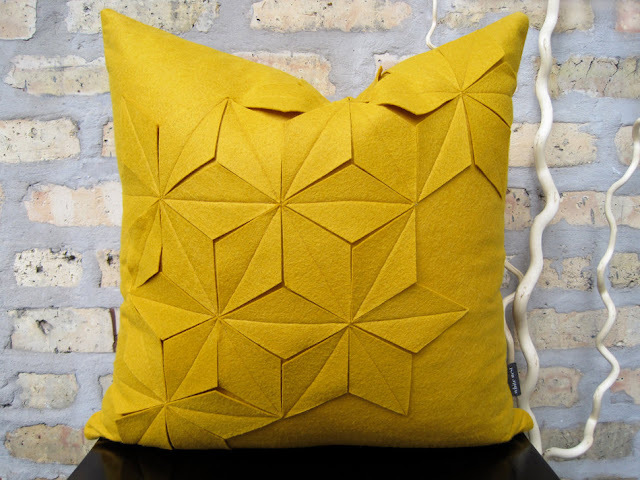 From Chicago based design house White Nest, this geometric golden yellow wool pillow caught our eye right away. Great felt material, well crafted design, and perfect colour, this pillow will soon be in our home and should be in yours. Available here.